Mark is your local Bracken Ridge Building Inspector. Mark is a qualified carpenter, licensed builder, licensed completed residential building inspector and holds a termite management license. 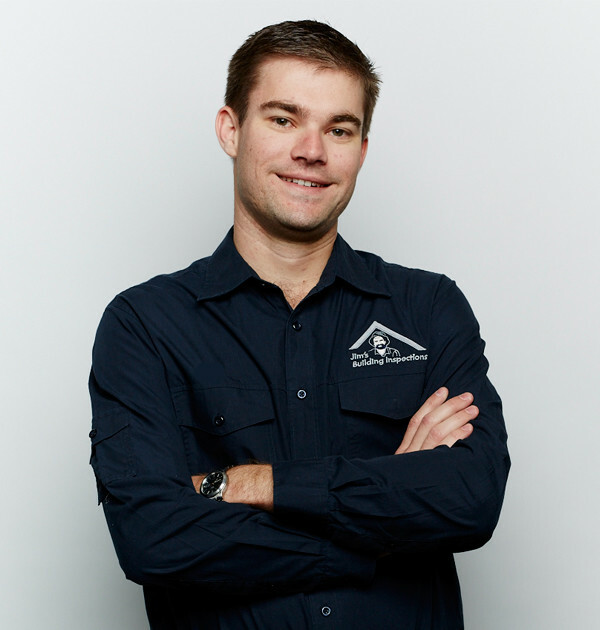 Mark commenced his trade in 2003 and by 2008 was a foreman running a team of tradesman in a remote community in Queensland. Having spent 7 years living away from his family back in Brisbane and after the birth of his first child, Mark moved back to where both he and his wife grew up and always considered their home. “I was looking for a new challenge and found Jim’s to be a fantastic opportunity for me to be my own boss but still be part of a fantastic team” – Mark. Mark’s personal traits include a high attention to detail, timeliness and extremely thorough. His hobbies include spending time with his wife and son, fishing, camping, triathlon and running.